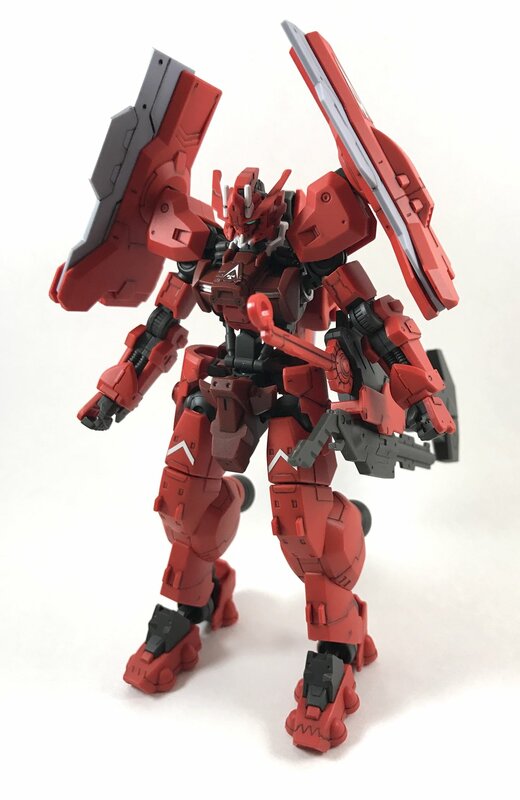 The Astaroth Origin is my favorite and the most solid kit from the IBO line, IMO ;) I had a good time snapping this kit up. I wasn't panning in building this until I saw it on the shelf at a comic shop and I jus HAD to :) I didn't paint it but I did panel line and top coat it. 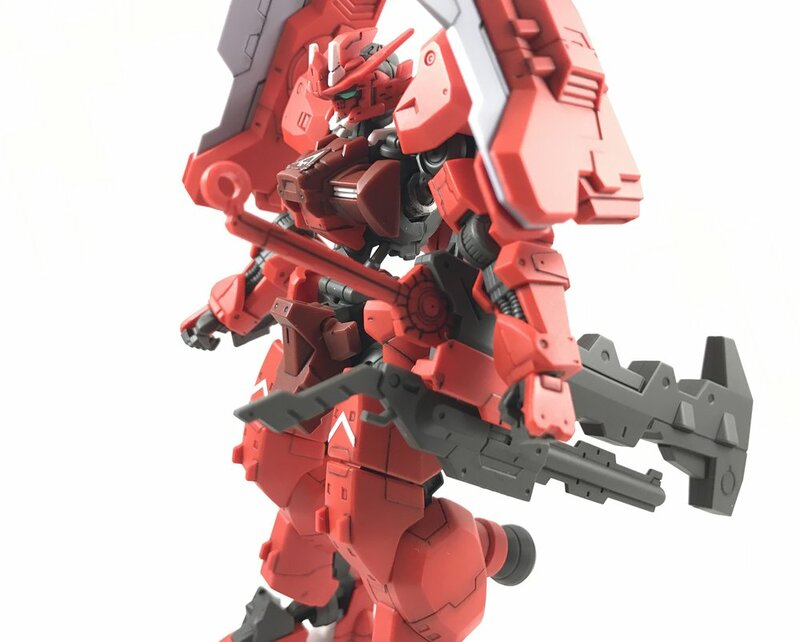 I'd like to return to it sometime in the future and do some customization (with a new kit) because it cuts a great profile with its sword hammer thing and those shoulder plates. This suit is BEGGING for a 1/100 release! I think it'd also be great as an SD or goshapon style figure too. Check it out! The weapons mounted on the hips make the arms stick out like it's been working it's lats too much. i left a little smudge around some of the panel lines to give it a bit of a dirty look. Nice boosters! Just begging to be painted metal. The arm doesn't hold the hammer weapon up in this pose, so I had to time it just right before it hit the ground. That's about the only complaint I have with this kit, otherwise it's solid. This is what I used to for top coat. Alclad sprays soooooo nice, straight out of the bottle! This small amount covered half the kit!